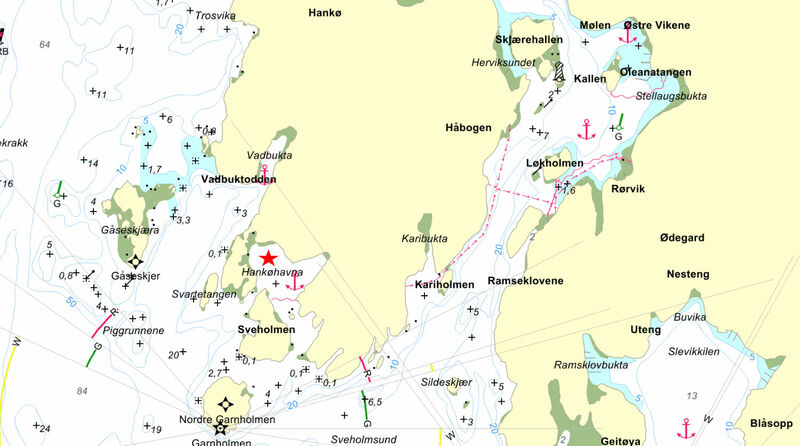 It seems that most people who sail to Norway skip over the entire Oslofjord region. If they’re coming from Sweden they’ll sail directly to Farsund or Eggersund. If they’re coming from Scotland, they’ll sail straight to Stavanger or Bergen. 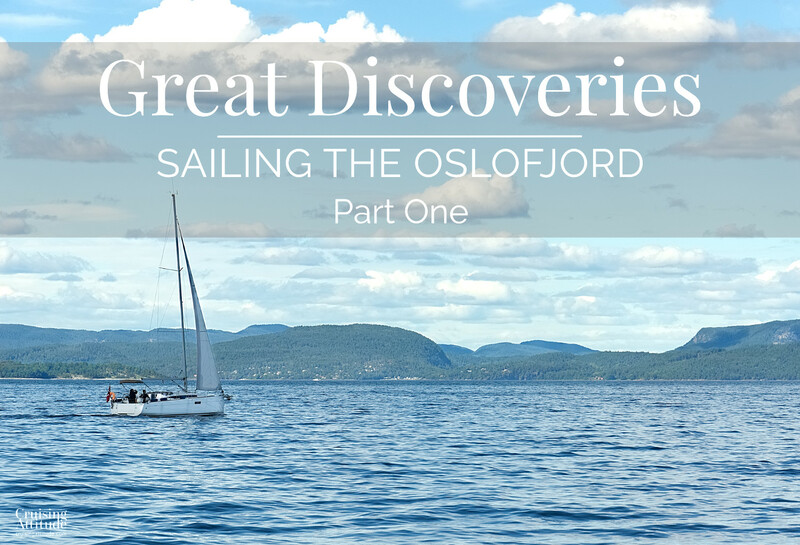 It’s really a shame, because the Oslofjord region is breathtakingly gorgeous! 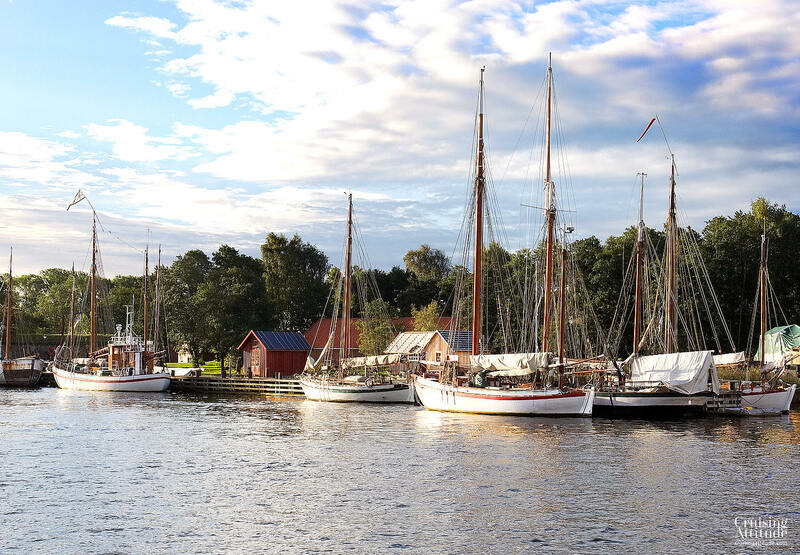 We use three different guides to Norwegian anchorages and marinas. We recommend them all, but the Havneguiden is the one with the most photos, taken from the air so you can really see what the anchorage looks like. 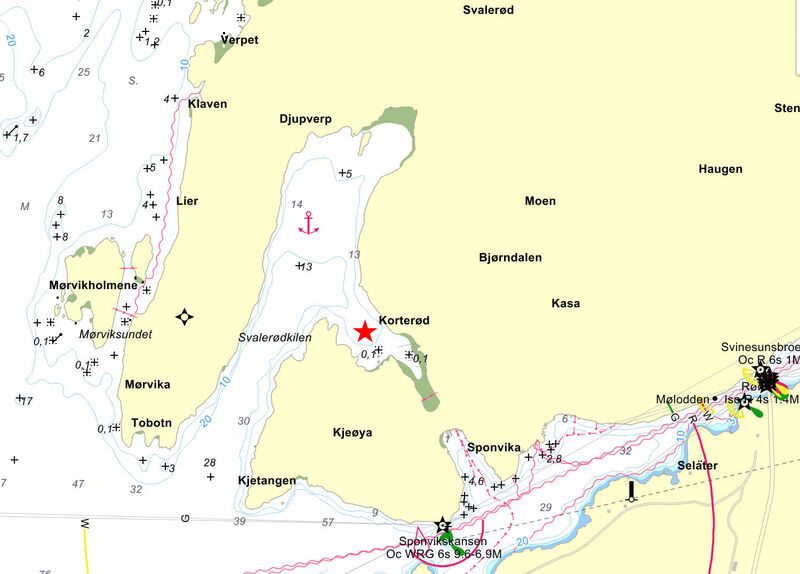 If you download the inexpensive Eniro charts (charts for Norway and Sweden) for your iPad or smartphone, you see lots of anchorages marked. 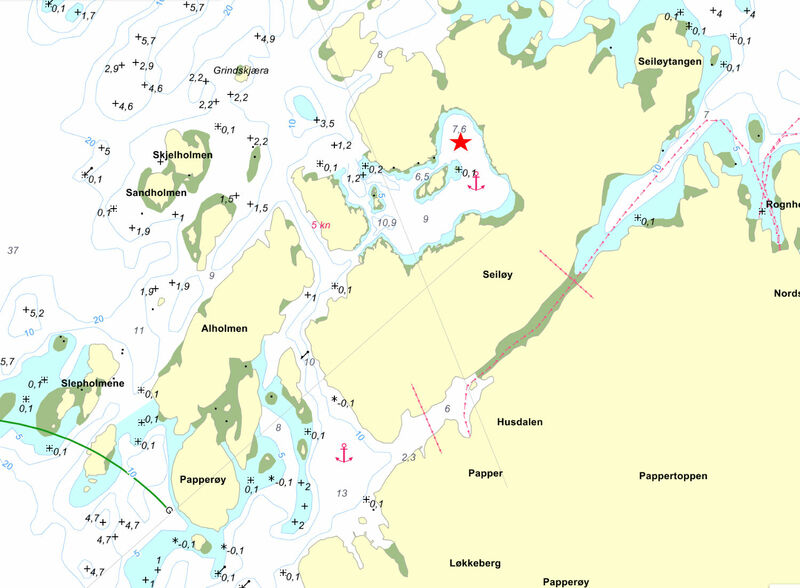 In addition, the paper charts for Norway often have anchorages marked out. 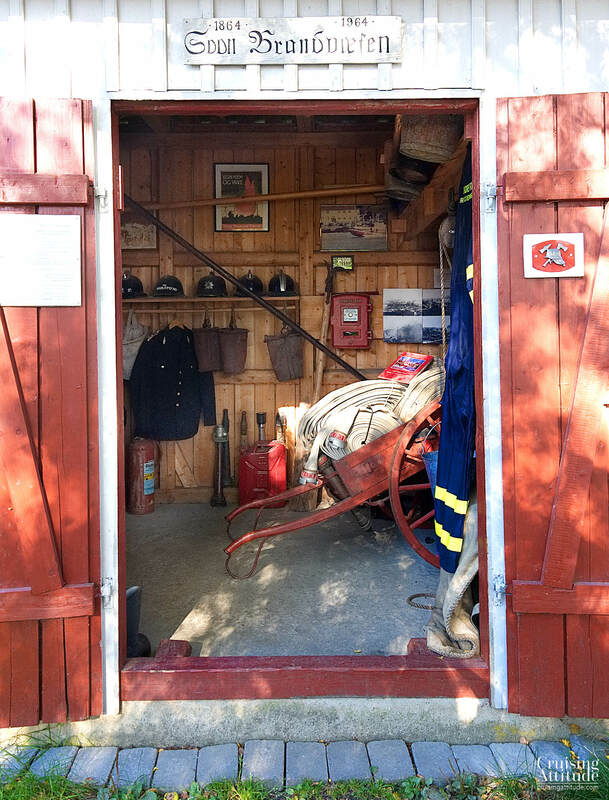 If you’re coming up from Sweden, a good stop may be Fredrikstad. 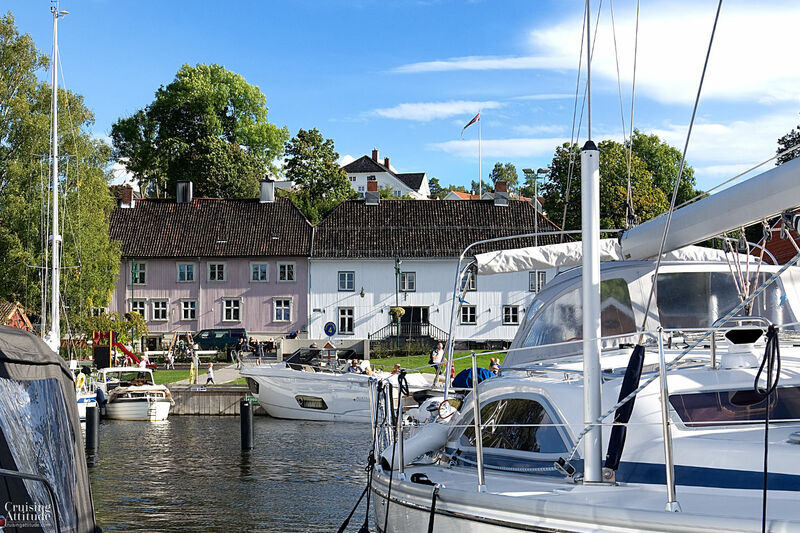 It has a marina in the middle of town and a lovely historic old town, Gamlebyn, to visit. We arrived from the east, first going up the fjord, then river Østerelva that leads to the city of Sarpsborg There’s quite a current here, so consider yourself warned. You can also approach from the west side, in which case you’ll avoid having to wait for bridge openings. 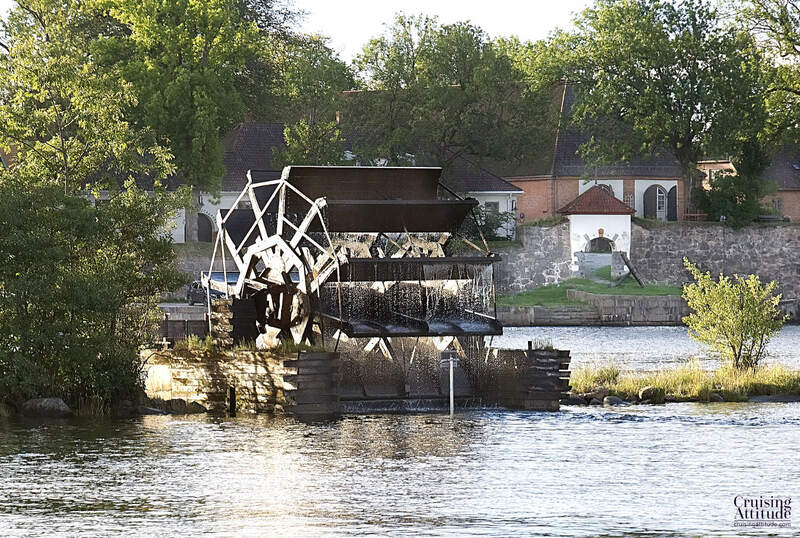 When you enter from the east to enter the city, you’ll see an old mill in full working order — that’s how strong the current is. You’ll have to request and wait for a bridge opening to get to the marina if you come from the east side. They don’t open the bridge at request, but if you call, they know someone wants to pass and they will open the bridge at the set times. If you don’t let them know, the bridge doesn’t open at all (because they think no-one needs an opening). You can wait for the bridge opening along the quayside just before the bridge. The town itself is quite small but has a good choice of restaurants, cafés and bars along the quayside. We had dinner at a tapas restaurant there – excellent dishes and good prices (for Norway, that is). 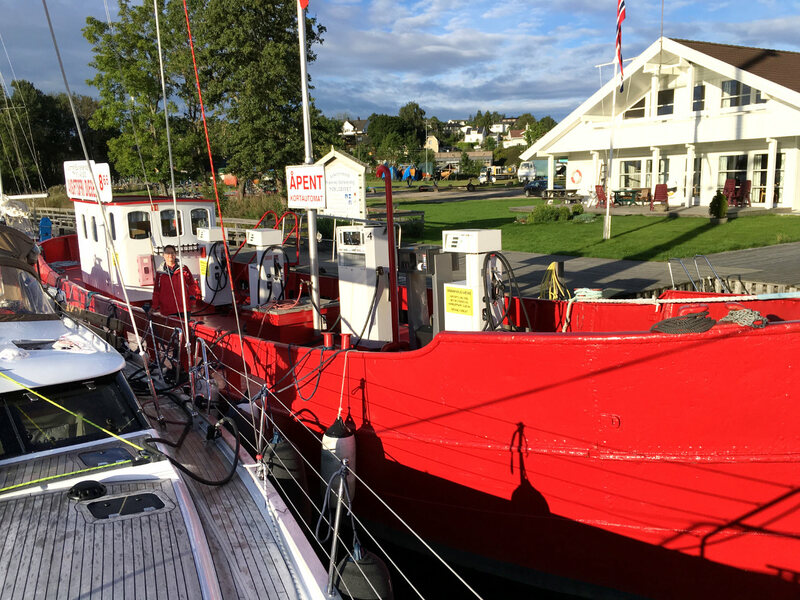 The prices of berths at quayside range from 250 NOK to 600 NOK (15 meters and up). They have showers, toilets and laundry facilities. 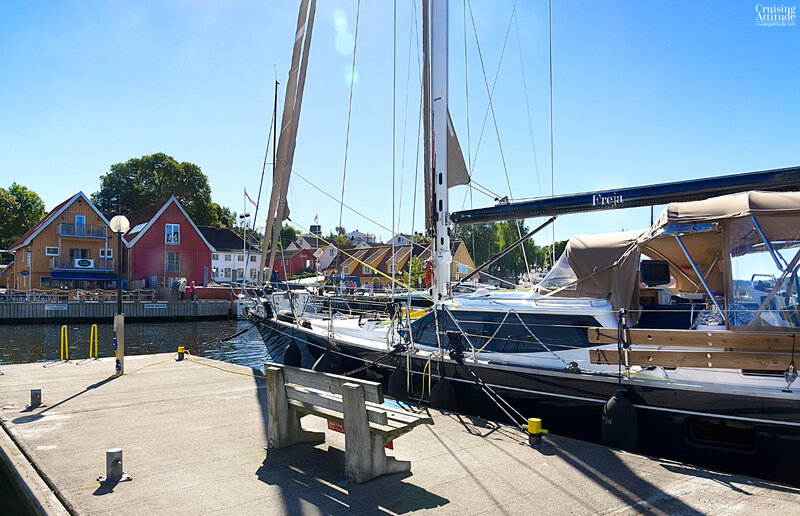 We planned Fredrikstad as our first stop because we thought we’d have to check in our boat and our dog. We well called the Norwegian customs , we found out that you just need to carry your dog’s passport (with the stamps for all of the necessary vaccinations and the special worm treatment for Norway) in your pocket or purse — just in case anyone wants to check. The customs explained to us that since our boat is registered in a Schengen county and we are from a Schengen country, we didn’t need to clear in. Filling up the diesel tanks. Diesel is a bit cheaper in Norway than Sweden. It seems that you don’t pay the road tax on diesel at marine fuel stations. You do pay the VAT though. 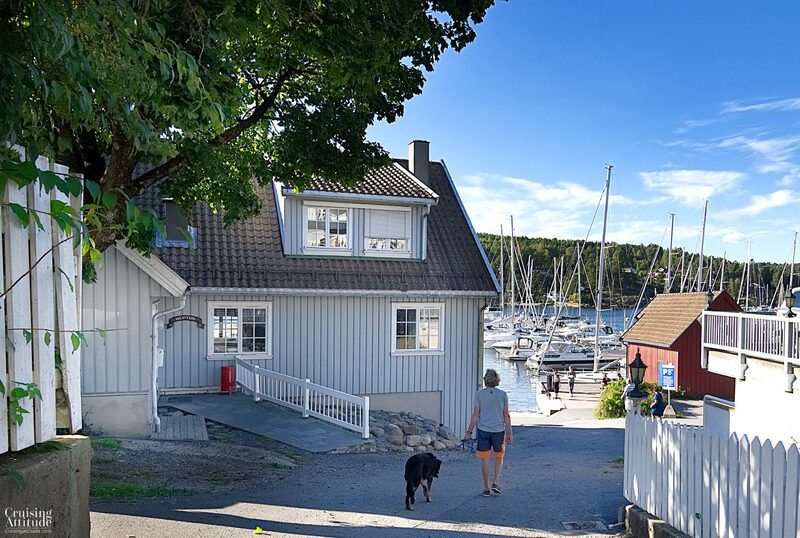 Another idea for a first stop in Norway is the charming anchorage of Korterødkilen on north side of the island of Kjeøya.. It’s kind of a Norwegian summer neighbourhood, though there’s not much activity outside the vacation period and the weekends. It is protective of winds from any direction. You just need to be careful of your anchor scope as there are several boats lying on buoys. The anchor bottom consists of sticky mud/clay — good holding. Our first anchorage on the way up to Oslo was Hankø’s west side. Hankø also has a big marina on it’s east side. We chose the anchorage because we didn’t want to waste time going around the island. 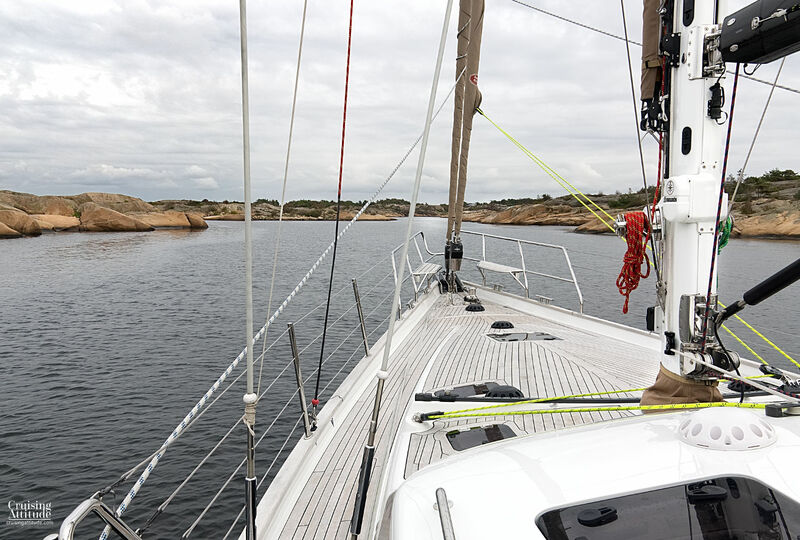 In hindsight, we should have done so because the Hankø anchorage is not really suitable for a large boat like Freja. 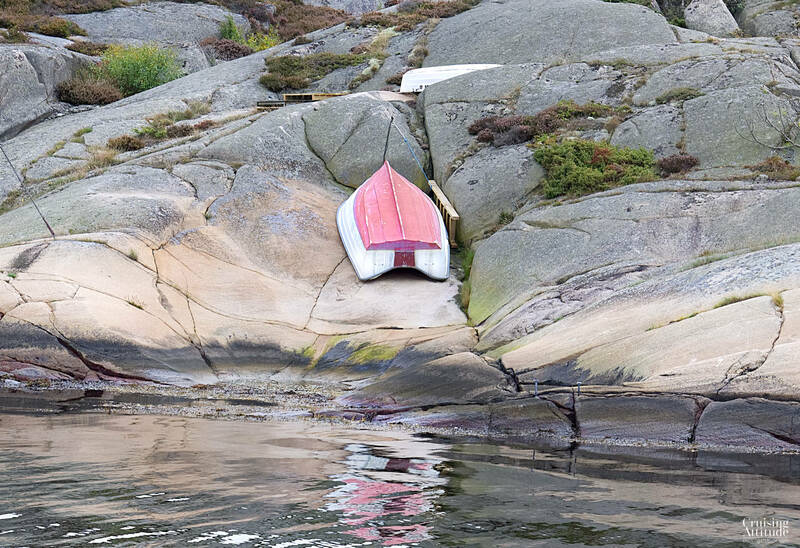 The problem here is that many boats are lying on buoys, and there are additional buoys for the Norwegian cruising club to use. The anchorage is so crowded with buoys, it’s difficult to put out enough chain to have a proper scope for strong winds. If your boat is 9 tons or less, you can use these buoys if they aren’t taken by a cruising club member. Since our boat displaces far more than 9 tons, (about 27 tons fully bunkered) hooking onto one of these buoys wasn’t possible. We prefer to use our big anchor in any case, as we know once it’s bedded in, we aren’t going anywhere. Our 55kg Spade held throughout a night of 30-38 knot winds, even on short scope (about 4:1) but I didn’t get a lot of sleep. I was constantly waking up to check my iPad (which acts as a remote for our Furuno TZ plotter) to check the wind speed and to see if we were dragging. Speaking of the Vinmonopolet — this is the Norwegian version of the state-run shops that sell alcoholic drinks. You see the same system in Sweden (System Bolaget) and in Finland (Alko). Norway has the most expensive wine of the three countries, so you may want to stock up before arriving. In Norway, Finland and Sweden, you can buy light beer (lower alcohol content) in grocery stores, but normal beer is also sold only at the state-run shops. You may think that because it’s a monopoly system that the prices are higher than in “normal” shops, but that isn’t always the case. We saw, for example, a 75 cl of 2014 Tignanello for sale at 600 SEK (61 Euros or 68 USD) in Sweden. The same bottle in Switzerland would cost twice that. Getting back to Son Marina, we spent 2 and a half sunny days there. 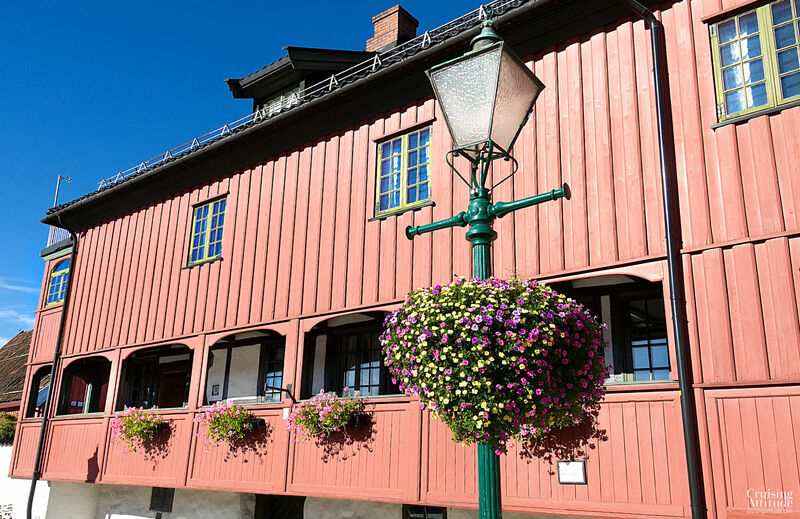 We sampled one of the restaurants, “Solsiden”, had coffee in one of the pleasant cafés, “Torvgården”, both very good. Jacques even had a haircut at the marina salon. Having some early morning cappuccino in a café at the marina. Be warned though, that outside of the normal summer holiday period (from around the 25 of June to around the 10th of August, the restaurants and cafés are only open on the weekends. We will definitely come back to this lovely marina town! 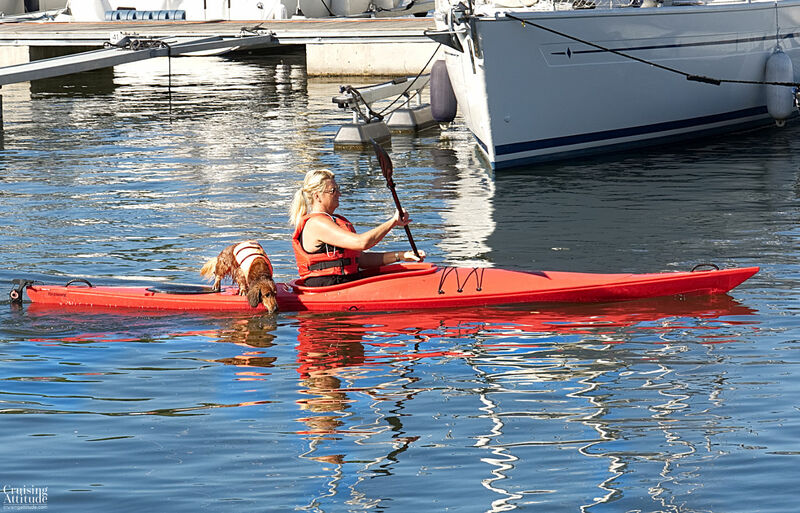 This dachshund was out for a ride on mom’s kayak. This marina is open all year ‘round, with lower prices between around mid-September to mid-May. Prices include: electricity, water, wifi, toilets, showers, laundry room, exchange-a-book library, septic tank pumping station. Prices: 250 NOK to 500 NOK depending on the size of the boat. 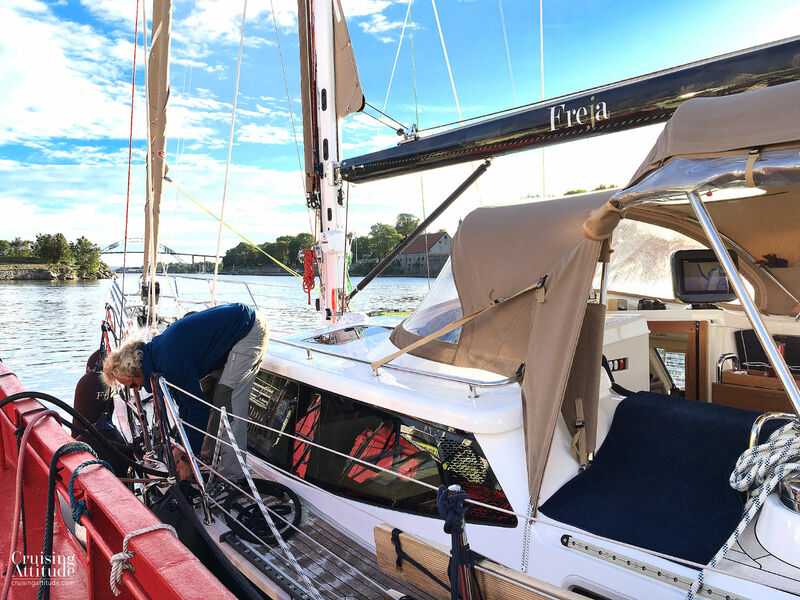 We paid 500 NOK for Freja (55 feet). A warning about prices — if you reserve a place with Dockspot, the price is 100 NOK higher than the official price. We reserved our first night with Dockspot. It was 600 NOK instead of the official prices of 500 NOK. 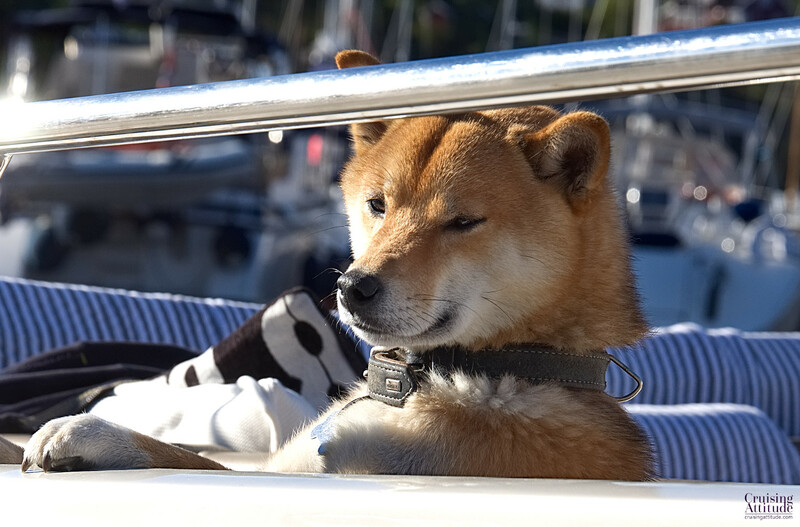 This cutie was waiting for his owners to get back to the boat. This anchorage is extremely well- protected from winds and seas from all directions. It’s located on the north side of the island of Seiløy (Sail Island!). Getting to anchorage is a bit tricky, no matter if you’re coming in from the night or south, so pay attention — there are underwater rocks on both sides of the channels. 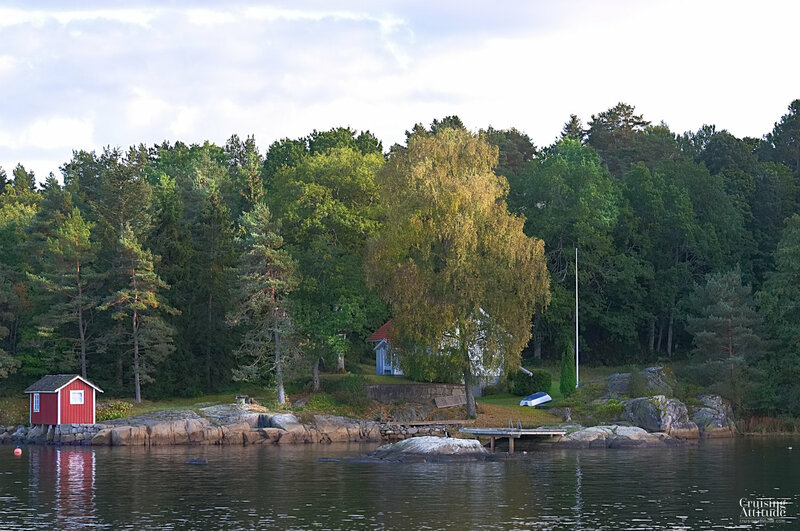 The nature is that of a typical outer archipelago island — mostly smooth, rounded granite and small bushes and trees. It’s easy to find a warm rock for sunbathing if that’s your thing. The anchoring holding is excellent — we brought up lots of sticky mud on or anchor. 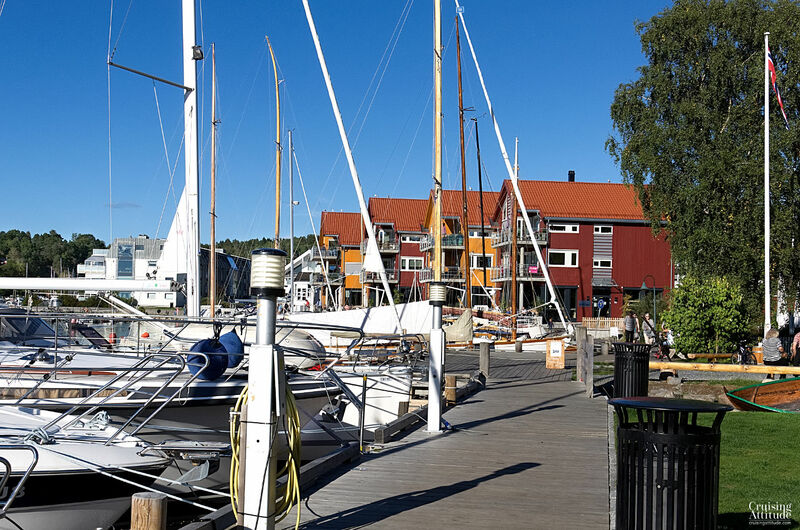 If you prefer marinas, there is a small marina close to Fredagshølet called Bukta Gjesthaven. Good afternoon, I am very glad to have stumbled apon your blog. Full of excellent information and pictures. I have recently arrived in Oslo from Palma. (77 foot sloop, drawing 3m), I plan to sail to Bergen next week and wanted to ask you of interesting stops along the way. I have about 10 days planned to get to Bergen. Looking for beautiful anchorages and towns to enjoy on route, I would like to stop every evening. 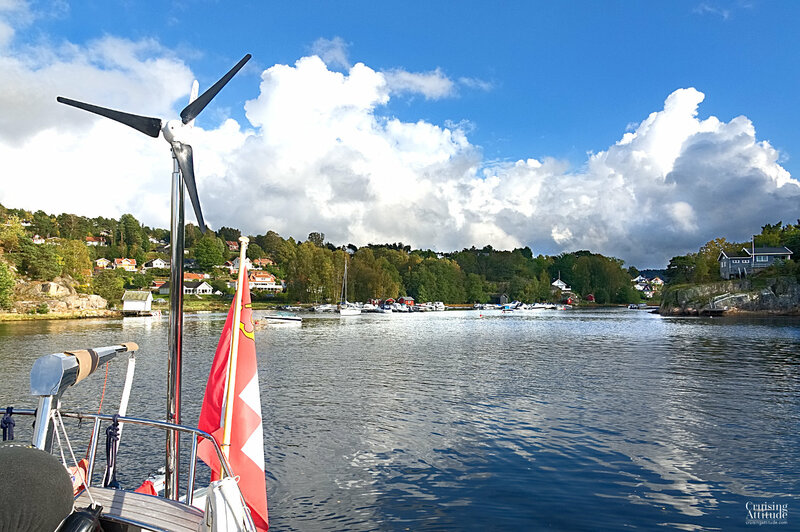 You’ll find several anchorages and marinas in various blog posts (some from as early as 2014), but here is a list of anchorages and marinas we have experienced up to Stavanger. We have not been farther north than that. We have found the “Havneguide” books indispensable for finding good anchorages and for checking if marinas have room for our 55-foot boat. 1. 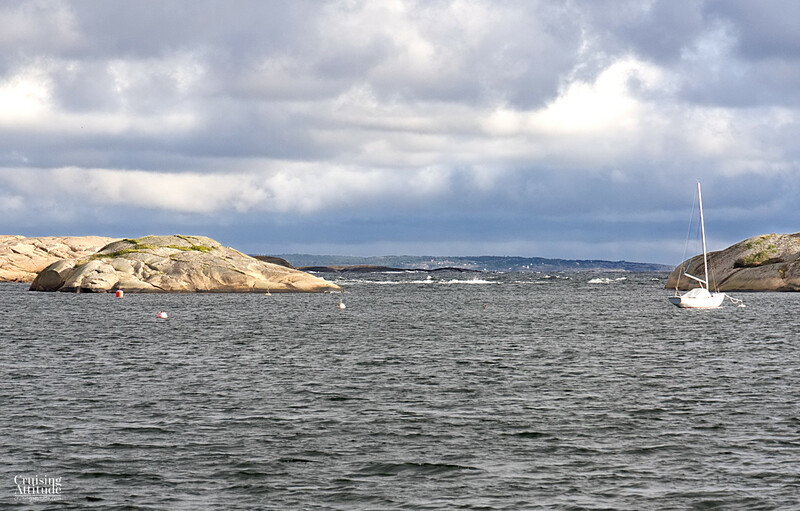 Verdens Ende Marina at the southwestern tip of the Oslo Fjord – don’t miss this one! 2. 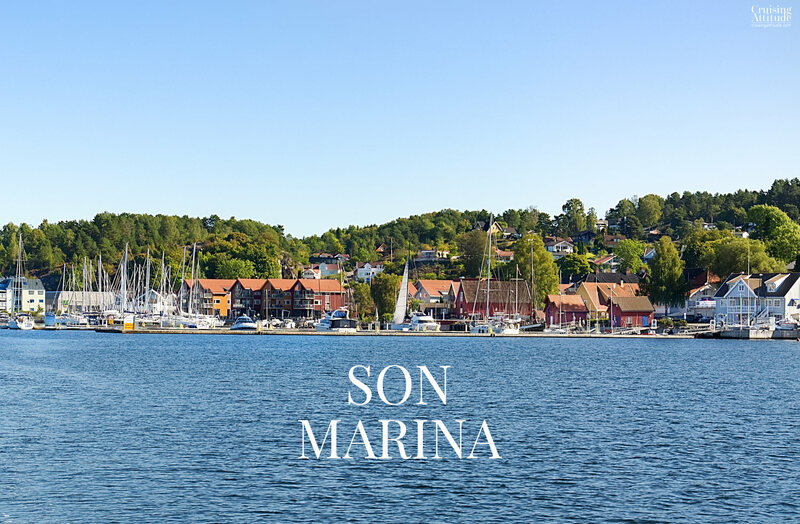 Son Marina on the eastern side of the Oslo Fjord. 3. Østre Bolærna on the western part of Oslo Fjord — so beautiful! 6. Olavsundet at Ny-Hellesund (anchorage 58°03,0N, 07°50,6E) – hike up the island of Helgøya fro great views! 8. 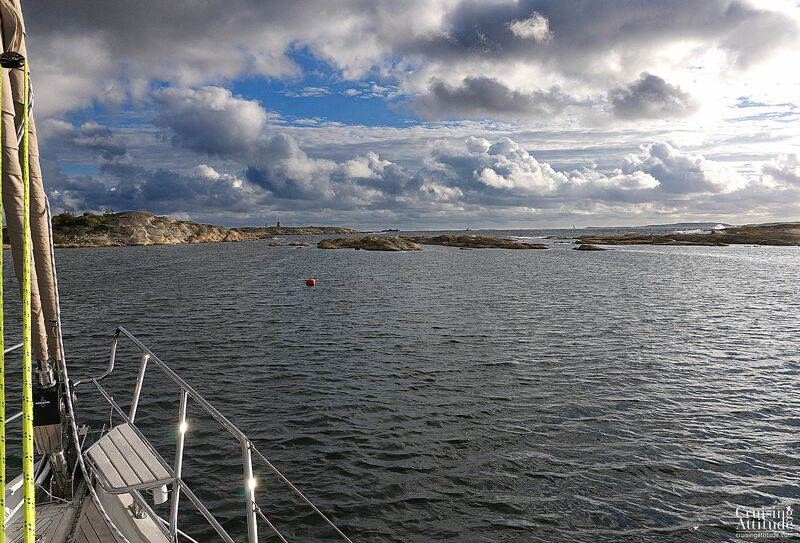 Kirkehamn/Hidra – very protected harbour and incredible views from the top of Hidra island! 9. 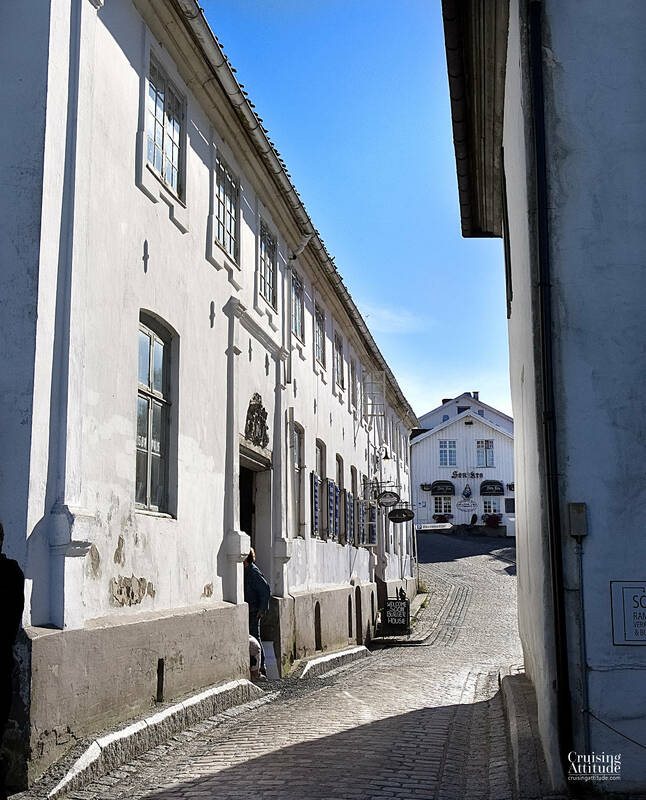 Eggersund – a nice little town and a good place to provision. 10. 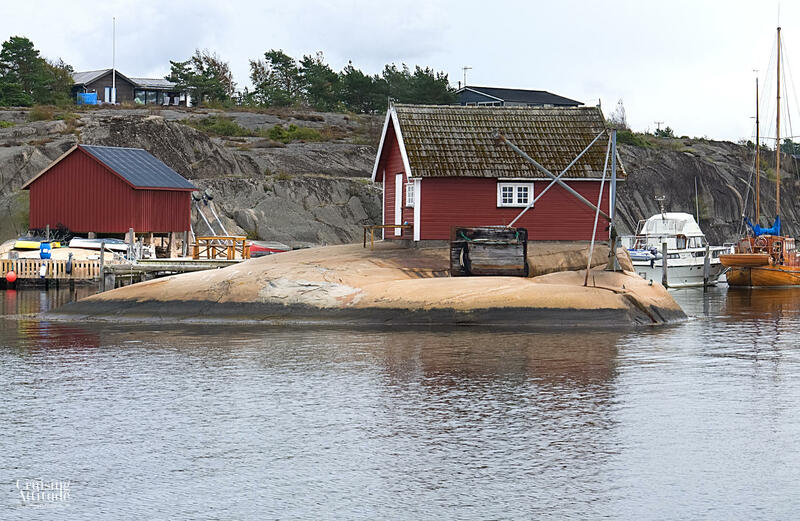 Ysterbøhamn in the Kvitsøy islands – beautiful little archipelago just west of the fjord that leads to Stavanger. 11. Stavanger – worth a couple of days visit! It’s a charming small city. 12. 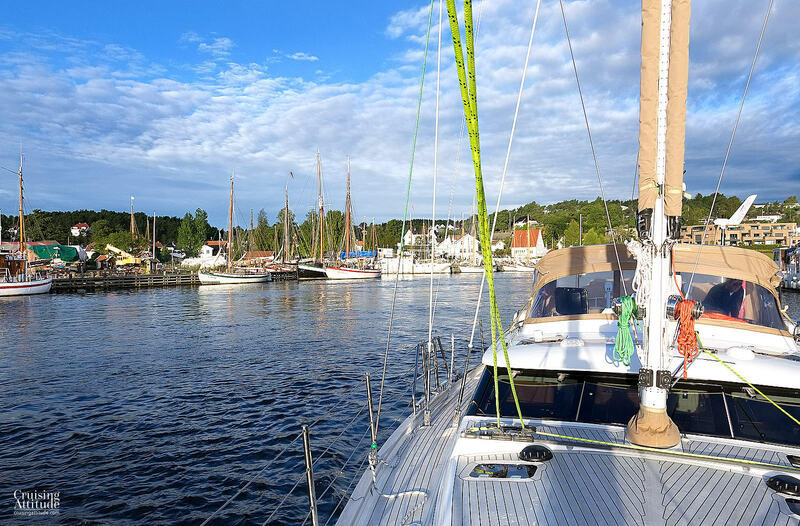 Lysefjorden – there’s a marina at Forsand near the bridge that crosses the fjord. Fair winds and sunny skies to you and your crew!